Retinol is the turtle of skincare. Silicones may get there first, filling those wrinkles in and making them look invisible in no time. But, a few short hours later, they desert you. You need another dose to pretend those wrinkles aren’t really there. Retinol takes its time. A lot of time. A month in, it’s barely made a dent in those wrinkles. But, once it gets down to the job, those wrinkles slowly disappear. For real. No filling tricks like those silicones pull. Retinol is the real deal. Well, the further away a form of vitamin A is from retinoic acid, the less powerful (but gentler!) it is. That’s why you need a prescription for retinoic acid, but you can buy retinol OTC. Retinol works more slowly than retinoic acid, but it’s gentler on your skin. A good trade-off, don’t you agree? Retinol is a multitasking superhero that literally transforms the way your skin looks and feels. How? It accelerates cellular turnover: it prompts skin cells to turn over and die quickly, so that new, healthy ones can take their place. It basically makes your skin look better in any way. Sun sensitivity: retinol can make your skin more susceptible to sun damage. Use it at night only. (Yes, you could use it during the day with sunscreen, AS LONG AS you reapply it religiously. Exactly. Night only it is). Irritation: retinol can irritate your skin and make it flake at first. Start slowly and build it up gradually (I’ll tell you how in the next sections). May worsen acne: retinol can help with acne but not with the red, sore and inflamed type of acne. If that’s why you have, retinol may make the inflammation worse. Not recommended during pregnancy/breastfeeding: vitamin A causes birth defects in mice. No one has done a study on pregnant women (for obvious reasons), so we don’t know for sure if it has the same effects on humans. But, why take the risk? Related: Which Skincare Ingredients Should You Avoid During Pregnancy? Everyone over 25, unless they have sensitive skin. If you do, I recommend a gentler form of retinol, like retinyl palmitate. Or time-released (microencapsulated) retinol. And even that may be too much for some of you. You can start using retinol earlier, especially if you have acne. 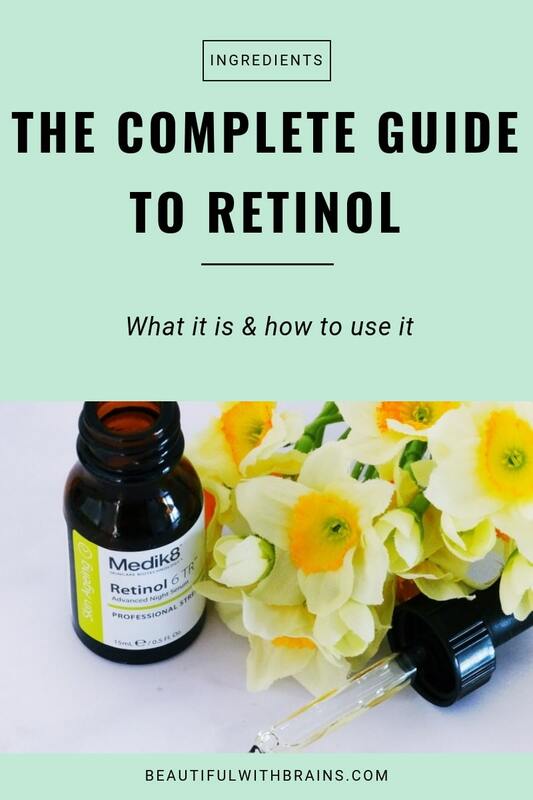 But retinol is, usually, on the pricier side, so this is something you can wait a bit longer before adding it to your skincare routine. Just don’t wait too long! Yes, retinol can reduce wrinkles, but it usually takes 3 to 6 months to see a noticeable improvement. The deeper those wrinkles are, the longer it’ll take. What Strenth Of Retinol Should You Use? You know how I always complain that, if an ingredient isn’t at the top of the list, it won’t do anything? That’s NOT the case with retinol. Even just a speck of it can do wonders for your skin. Seriously, as low as 0.01% can get the job done. Slowly for sure, but you know what they say: slow and steady wins the race. If you come across a product that uses more than 2%, I’d leave it on the shelf. It’s likely not dangerous, but it can be too harsh for your skin. Imo, high amounts of retinol (and yeah, anything more than 2% is high when it comes to retinol) should be prescribed by your derm. But, how do you know when you’re ready to up your game? If your skin isn’t peeling, flaking or doing anything out of the ordinary, then it means it’s got used to retinol. At least to that small amount. You can upgrade but don’t go too high too soon. Increase gradually. Relate: Which Strength Of Retinol Should You Use? That depends. Everyone is different. Some people will able to use it four or five times at week or even daily. For others, once a week may be more than enough. I recommend you start with twice a week. If that doesn’t bother your skin, try using it on three days. Then four. If your skin complains, scale back. You get the point. How often do I use it? Every other night. I alternate it with glycolic acid, another superstar I’d rather use at night only. What Are The Best Products With Retinol? WARNING: Retinol degrades quickly when exposed to light and air. Be smart and choose only products that come in opaque, air-tight tubes and bottles. There’s a reason why derms consider retinol to be the gold standard of anti-aging. It works. Add it to your skincare routine and you’ll always look your best. Bye bye wrinkles! Do you use retinol? Share your fave products in the comments below. It’s not the makeup. It’s the brush. What would be a better alternative to spot treat red inflamed acne in your opinion? Sulphur? Benzoyl Peroxide? Renato, both work well, as long as you apply them only on the affected area. They’re too strong for an all over application imo. Yay to retinol!!!! So I´m using The Ordinary once a week and I think at first it was too strong, but after two weeks it´s OK. The first week was also mess. But I feel guilty because I´m a beginning and I started with that (2%) instead of 0,2%! But it is very gentle and I like the texture. Barbara, sorry it gave you trouble at first. I found it very gentle but maybe it’s partly because my skin is used to retinol. Once yours will be too, you’ll be in for a treat. It makes your skin look so much better. Would you recommend someone in her mid 20s to try The Ordinary’s 2% Advanced Retinoid as her first retinol product if she has sensitive (eczema-prone & rosacea-prone) skin? 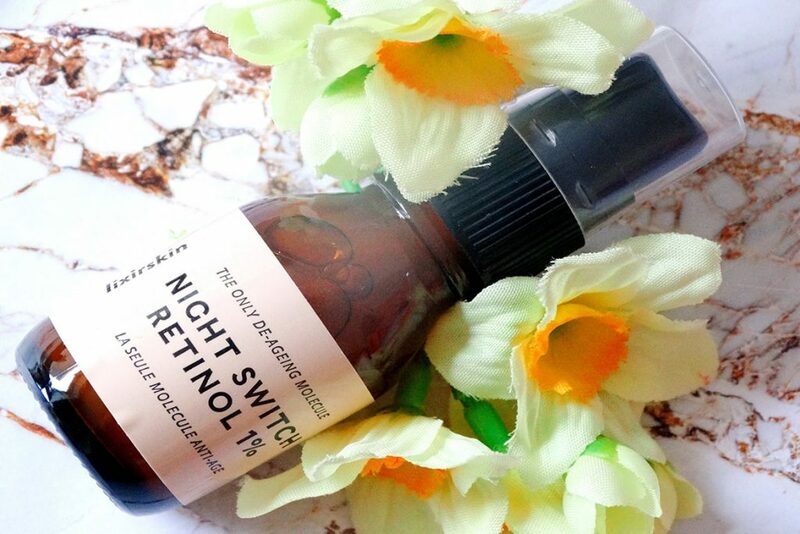 I have been eyeing different retinol products but seems like this HPR (hydroxypinacolene retinoate) is the gentlest product around these days, according to some studies. I’m torn between HPR and retinaldehyde products from Avene too. Everyone says Avene’s retinaldehyde products are so gentle and as usual they’re geared more towards people with sensitive skin who are horrified by the thought of implementing Vitamin A derivatives into her routine. The Ordinary’s price point is so crazy affordable, though, when compared to Avene. Audrey, to be honest, I’d go with Avene. The Ordinary serum contains HRP AND retinol. If your skin is sensitive AND not used to retinoids, it may be too much. Or you could try a serum with retinol. Paula’s Choice has several and the amount of retinol in them is fairly small. Or, you could try applying the serum on top of our moisturizer. This is not something I usually recommend because it dilutes their effectiveness. But I know Dr Sam Bunting recommend this to her patients with sensitive skin, so you may want to try it. Whatever you decide to do, always patch test first! Thank you so much for your kind advice 🙂 I will definitely try Avene first because it’s the only brand that my sensitive skin always tolerate and love. Great article as always! I ‘m thinking about buying Paula choice soon because I have wrinkles on my forehead between my brows. I got Botox before but now they’re back again. thank you for the great information. Adia, my pleasure. Let me know how you like it if you try it. Ema, let me know how you like it. Hi Gio. What strength of retinyl palmitate do you suggest? AM, retinyl palmitate is a lot weaker than retinoid so you could start with a higher concentration. But most products only have a small amount, so I wouldn’t worry too much about concentration. I saw this guide to use retinol 2 nights in a row then an exfoliant then 2 nights in a row of retinol again then moisturizers. Is this a good guide? Also, how do you include a hyaluton acid there? How long should you wait for each application? Crissy, it is a good guide if your skin is already used to retinol. If you’re new to it using retinol twice a week is more than enough. You can definitely add a hyaluronic acid serum if you feel like your skin needs more moisture. I’d put in after the retinol but before moisturizer. I love your post! Found you totally by accident because I was searching for reviews on Eucerin. Im gonna go check your other posts now. I love that the way yoi write is targeted to the layman 🙂 Keep it up! Lovelove! Your articles are really helpful, it’s a true mine of information! I am just about to start my night shift job. Can I use it during a day when I will be sleeping? Or would you rather advise me to use it during a night while working? I work 22pm-6am, so there will be a daylight when leaving work. I have white blind that will protect my room from the sun but not from the daylight. Will Retinol be working fine if used during a day? I’ve read that it’s not active if exposed to daylight, as Retinol is light-sensitive, is this a truth? What would you recommend me to do? Use it during a day or during a night? Alex, I’d recommend you use it during the night and put on your sunscreen before leaving for work. You can use it during the day too but you really need to be religious with sunscreen then and reapply it often. Hi Gio! I just discovered your site and I love it—deciphering beauty products is so hard these days. I am also succeptible to nice branding/packaging ?oops. I found your site trying to figure out the best way to gently exfoliate my face after using retinol. 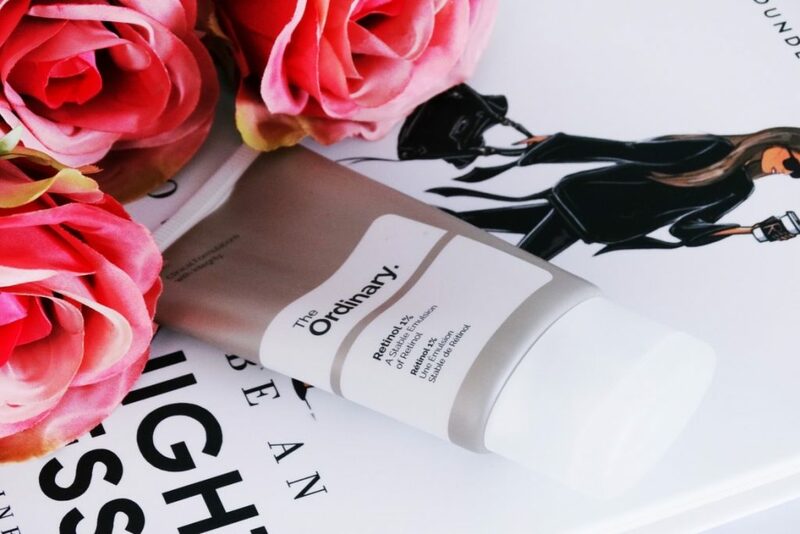 I use a retinol cream by Body Merry (I’d be curious to hear what you think of this company!) and even after 6 months of use I get lightly flaky, which makes my BB cream look gross in my skin. I’m leaning towards a glycolic acid wash and am looking into the The Ordinary brand you recommended. Am I on the right track? Leighes, I hear ya, pretty packaging is so tempting! I admit I had never heard of Body Merry before but I’ve checked out their website and the retinol serum is good. Retinol is pretty high on the list, though, so I’m not surprised to hear you’re experiencing flaking. Are you using it every day? If so, cutting back to three times a week may be a good idea. Exfoliating your skin is a good idea but alone won’t be enough to counteract the dryness of retinol. So you either use retinol less often or you up your moisturising game. You can, for example, try a hyaluronic acid serum or a light oil after the retinol. As for exfoliation, a glycolic wash is a great start but I don’t think The Ordinary makes one. Their gentlest exfoliating option is Lactic Acid 5%, which would go well with the retinol. Hope this helps. Your article was so helpful to understand retinol.. thank you! I think ROC products are very basic in the sense that they contain retinol and little else. Usually, I prefer products that also have other antioxidants. But they have enough retinol to do the job so if that’s all you have access to, go for it. Hi there! 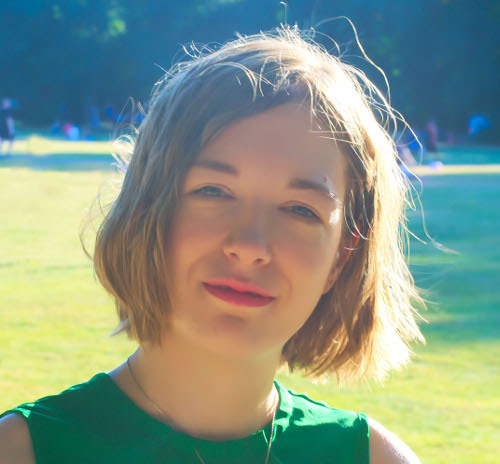 Just stumbled on your site as I’m experiencing major hormonal, cystic acne once I got my cycle back after having my son. Skin was perfectly clear pregnant and nursing, now not so much :-/ was wondering why you didn’t recommend any retinal products in this post…? I formerly used tretinoin (Atralin), then since having babies i didn’t use. I’d use again but it’s formulated with mineral oil and parabans, so I’d like to avoid those. My new facial gal put me on Clarify by Osmosis (which uses retinal), and while it’s helping a bit, I think we need to go stronger. I’d be interested to know what products you’d recommend specifically for hormonal, cystic acne, especially whether you’d recommend retinal vs retinol (or retinoic acid). Also looking at Marie Veronique’s Treatment + Kristina Holey’s line, Arcona’s acne products, and few others that are less expensive (Mad Hippie, Instanaturals, etc). Just want to make sure that’s the ingredients and formulations are top quality! Knichol, I didn’t mention retinal because so few products still use it, but I’ve noticed this is changing lately. I wouldn’t go with Arcona because their products are loaded with alcohol but Marie Veronique + Kristina Honey Treatment should be good for your skin type. It doesn’t have retinol but it uses salicylic acid, which exfoliates skin and helps clear breakouts. Instanatural retinol serum is good too. I have a question: I use glycolic acid and azelaic acid on different nights because one is not supposed to mix acids, correct? I would like to start using Retinol after summer. When should I use it? Should I start a routine for three days? Or is it possible and safe to mix two of these acids? I also apply hyaluronic acid but this one, I know, can be mixed with any of the above. Helena, yes you can use azelaic and glycolic acids together. Naomi, glad you enjoy the article. Do you really need AHA and BHA? They’re both exfoliants so choose the one that suits your skin type better. If you’re oily or acne prone, use salicylic acid. Otherwise, glycolic acid is your best bet. You can exfoliate a couple nights a week right after cleansing. I’d recommend you start using a low dose retinol a couple of nights a week too, on days when you don’t exfoliate. Check my guide here for the best retinol serums for beginners. I don’t recommend you use exfoliants and retinol daily at your young age. Your skin is still healthy, can exfoliate on its own and has a lot of collagen still, so for now, you just need your skincare to give it a little helping hand. Contrary to what brands and magazines tell you, doing too much can actually backfire. You can use vitamin C every morning right after cleansing and niacinamide every night. The easiest way would be to use a moisturiser with niaciamide (Cerave and Olay makes the best ones) or use Paula’s Choice Niacinamide Booster to add niacinamide to your fave moisturiser. Hi Gio! I’ve been using The Ordinary’s Granactive Retinoid 2% Emulsion (Previously Advanced Retinoid 2%) for 4 months…two days on and one day off. I definitely need something stronger. You have such extensive knowledge with retinols/retinoids, so I would love it if you could recommend a few products that are higher in percentage than the current one I am using. I find it all a tad confusing. Thanks! Christine, that product is already pretty powerful. 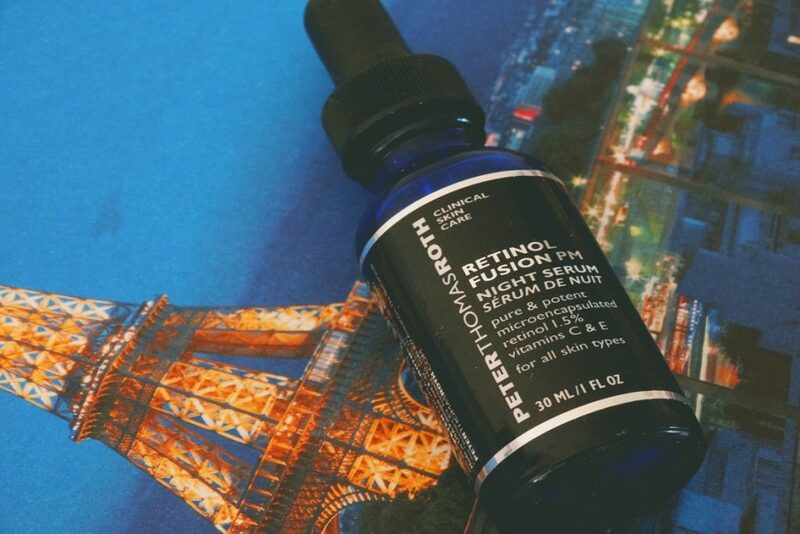 If you need something stronger, Peter Thomas Roth Retinol Night serum has a higher concentration. I’ve been using Dr Dennis Gross Ferulic Acid + Retinol Brightening Solution for almost a year… I guess I’m not a beginner any more, right? Nati, only your skin can tell you that. Some people need to stick to low concentrations forever because their sensitive skin can’t take more than that. But yes, I’d say after a year, you can try the next level up. Just don’t go all the way to 1% yet! HI Gio! I ordered Granactive retinoid 5% and Retinol 1% squalane then I realized that It might be strong the 1% Retinol. So I started with the Granactive retinoid 5% two weeks ago. Three weeks ago two times /week and I started to have small acne on my skin. The skin feels hydrated and daytime I am using SPF35 foundation from Dior forever and Clinique moisture surge creme. I used to go for retinol treatment to my cosmetician 2times/ year. Is it very common the acne appearance after using Granactive retinoid? Should I continue using it? I do not have wrinkles just dilates pores and few small scars from teenager acnee. I am 26 now. Die, retinol can cause purging. Use it for 5 weeks and if after that, the acne hasn’t disappear, throw away the product. There may be something else in it that’s causing a breakout. Iris, you mean you have almost finished Granactive retinoid 2% In squalane? The Ordinary does’t make 2% retinol as that’s very harsh for skin. Yes, you can upgrade to the emulsion next. I’ve used it around the eyes without problems, but if it’s too irritating for you, stick to the Granactive version.